As Operations Manager at the firm, Holly ensures the day-to-day efficiency of Provision Financial. In addition to overseeing all compliance and office operations, she works closely with clients to provide them with the highest level of service. Having worked in a variety of administrative roles throughout her career, Holly truly enjoys getting to know clients and building personal relationships with them. 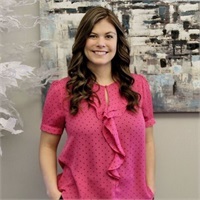 A graduate of Southern Nazarene University, Holly earned her Bachelor of Science degree in Human Relations and also currently holds her FINRA Series 7 & 66 securities registrations. Outside of the office, she looks forward to spending time with family, relaxing on the beach, and biking, kayaking and running.